I’ve always gotten a thrill from receiving a personal invitation in the mail. The feel of the paper, the sound of the envelope opening, the anticipation of revealing what’s inside...there truly is nothing like the way the first glimpse of a beautifully designed invitation can make you feel. It’s the creation of that joyful anticipation that drives my passion. Working together to bring your ideas, daydreams, and doodles to life is what I’m all about. I don’t design for my clients, I design with my clients. I want you to leave my studio excited and energized, and I want you to gasp when you first set eyes on your event pieces. There are no rules anymore - your event invitations should reflect who you are and nothing less. I also believe in making the invitation decision making process effortless, inspired, and fun! 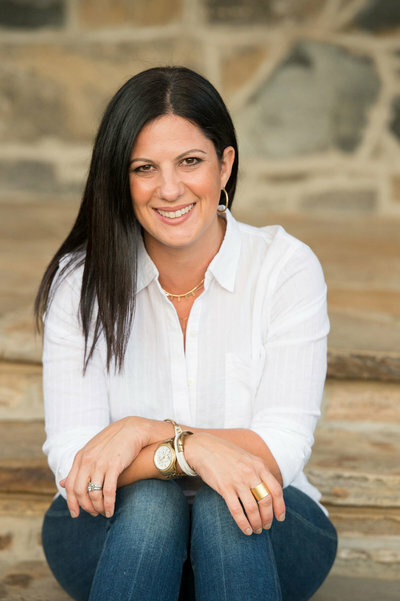 I have over 18 years of design and marketing experience and have been working in the wedding and event industry for over a decade. I was born and raised in Maryland and have made Baltimore my home for the last 20 years. I love this city: the people, the architecture, the restaurants and quirky culture. I am proud to be a part of a vibrant community of wedding and event professionals who are truly some of the most talented Maryland has to offer. I love my job. That love shines through in the calibre of my design work, the atmosphere of my studio, and especially the care I take to ensure every single client is thrilled with their invitations. I look forward to sharing that joy with you! Your event invitations should reflect who you are and nothing less. I also believe in making the invitation decision making process effortless, inspired, and fun! mlc designs is a full service invitation studio located in Towson, Maryland (just north of Baltimore). Our design studio is where you’ll meet with Madeline to go over the details of your event, get to know each other, and begin the creative process together. 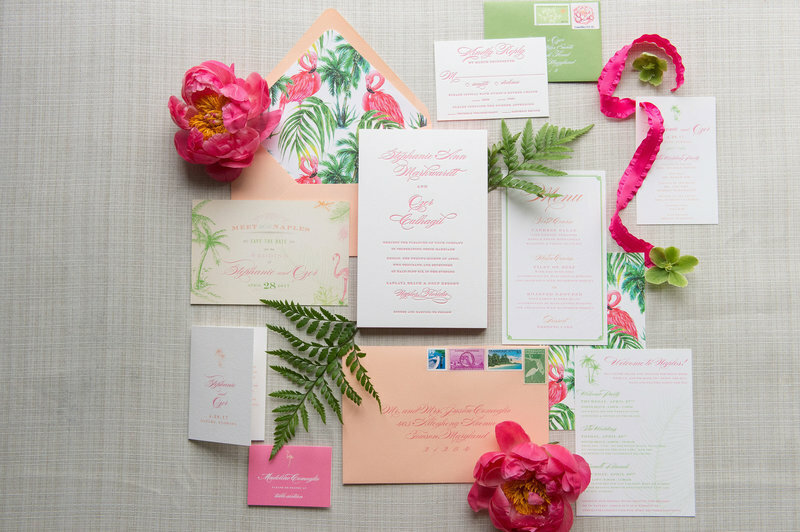 With no templates or “books” to choose from, Madeline works closely with each client in a creative partnership to develop a truly one-of-a-kind invitation package. It is this personalized, one-on-one service that truly sets us apart. Madeline works with the best local printing and paper vendors to ensure your final product is of the highest calibre. Clients are always given a variety of the finest quality paper options to choose from. Each piece is professionally printed. Embellishments and assembly are completed entirely by hand and each piece is scrutinized (and wished bon voyage) before being delivered personally to the post office. Design typically begins with an invitation, but rarely ends there. From save the dates, menus, custom logos and every imaginable component in between, mlc designs sees to it that each detail coordinates with your event, reflects your style, and wows your guests.